DHS Analyst Resigns After Ties To White Nationalist Groups Come to Light - Hacking Law Practice, LLC. 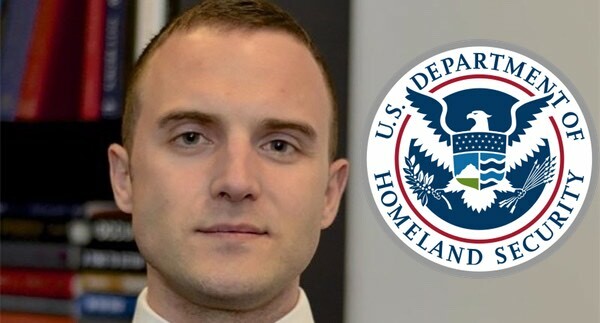 A Department of Homeland Security analyst, Ian Smith, recently resigned after his ties to white nationalist groups came to light. According to close government officials, he attended immigration policy meetings at the White House. The Atlantic found and reported on personal emails that Smith shared with prominent white supremacists. In one e-mail, Smith received a group dinner invitation where the host called his home “judenfrei,” which is a German word used during World War II by the Nazis. It refers to an area that had been “cleansed” of Jews during the Holocaust. Smith replied to the e-mail by saying, “They don’t call it Freitag for nothing…I was planning to hit the bar during the dinner hours and talk to people like Matt parrot, etc..” Freitag is the German word for Friday and Matt Parrot was a spokesman for the neo-Nazi Traditionalist Worker Party. While the emails that were reported on do not contan any outright racist statements made by Smith, they do portray Smith as someone who is at ease in the atmosphere of white supremacy.